It is suggested to visit "FM Latest News" page regularly to be updated about the network and the industry. Today we FM are pleased to greet a new partner "SHENZHEN HAIPUSI INTERNATIONAL LOGISTICS CO., LTD." from CHINA. Please join us in welcoming them on board of the Freight Midpoint..! MEMBER COMPANY NAME: SHENZHEN HAIPUSI INTERNATIONAL LOGISTICS CO., LTD.
FM is happy to announce that FREIGHT SYSTEMS EXPRESS (WALES) LTD. has joined Freight Midpoint from UNITED KINGDOM recently. Today please join us to welcome them to FM Family ! Today it is our pleasure to introduce our new member "VITAL TRADE INTERNATIONAL (PVT) LTD." from PAKISTAN. Please join us to welcome them on boardof Freight Midpoint..! MEMBER COMPANY NAME: VITAL TRADE INTERNATIONAL (PVT) LTD. Welcome to FM_ASR FORWARDING LTD. _U.K. Today please join us to congratulate ASR FORWARDING LTD. from UNITED KINGDOM on board of Freight Midpoint..! Have an enjoyable and excellent cooperation ahead! MEMBER COMPANY NAME: ASR FORWARDING LTD. It is our pleasure to announce that "HUNAN HIGHGOAL INTERNATIONAL SHIPPING AGENCY LIMITED" from CHINA has joined our group. Please accompany us to welcome them on board of the Freight Midpoint..! Today we are happy to announce the arrival of J WORLD LOGISTICS KOREA from SOUTH KOREA. 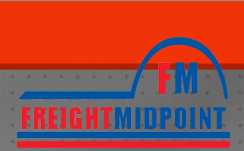 Welcome to Freight Midpoint ! Have a good cooperation ahead ! Today it is our pleasure to present a new partner "RAPID FREIGHT LOGISTICS (CAMBODIA) CO., LTD.". Let’s welcome our new agent on board of the FreightMidpoint..! Have a great cooperation ! Freight Midpoint is going on introducing you new partners. Today it is our pleasure to announce that "CLEAR FREIGHT B.V." from the NETHERLANDS has joined our group recently. Please join us to welcome them on board of the Freight Midpoint..! MEMBER COMPANY NAME: CLEAR FREIGHT B.V. Welcome to FM_CMG INTERNATIONAL MOVERS & CARGO SERVICES LLC_U.A.E. Today we would like to share with you that CMG International Movers & Cargo Services LLC from U.A.E. has joined Freight Midpoint Family recently. Please join us to welcome them on board!